Stuffed Pork Chops – juicy and flavor-packed pork chops stuffed with veggies and cheese then baked to perfection. An easy family dinner that also impresses guests at the same time! 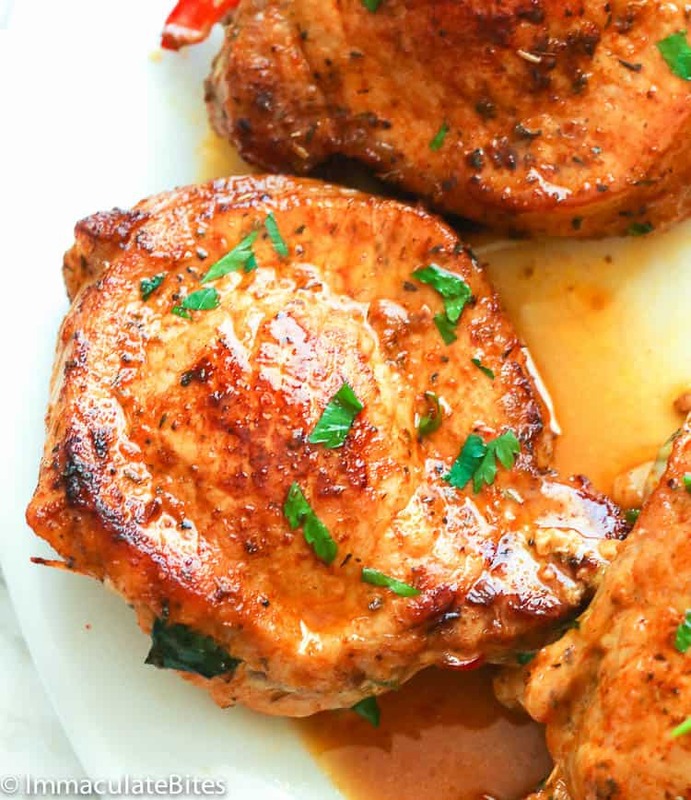 Pork Chops are one of our regular go-to dinners here at home. Aside from the fact they are mostly on sale in our local meat shop, they are also very versatile and can be served when you have guests, too. 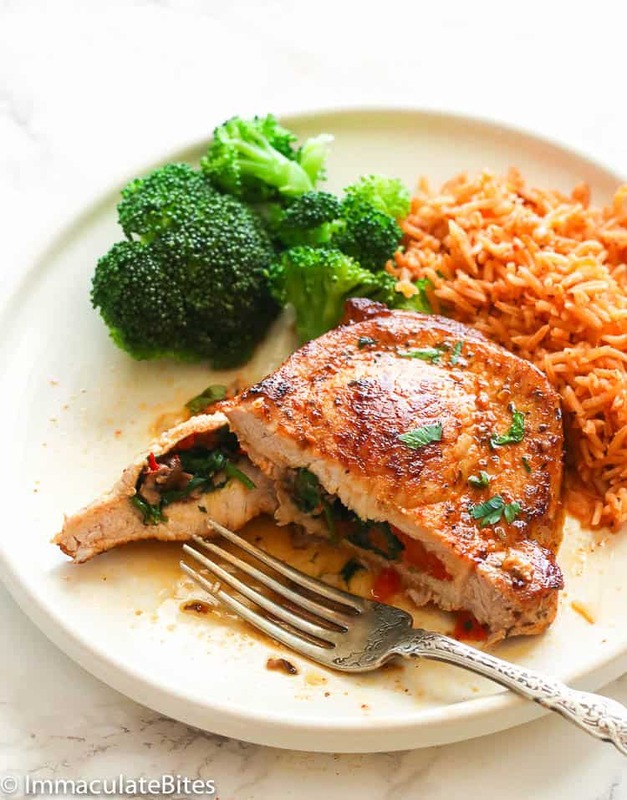 I usually cook them in the oven using this Oven Baked Pork Chops (sooo quick and easy) or this vibrant and saucy Pan Fried Boneless Pork Chops. This time around, I want to take it to the next level by stuffing it with fresh produce to have a balanced meal of protein and vegetables. It sooo good and absolutely family-approved even with the little ones! What is The Best Cut For Stuffed Pork Chops? Pork chops are like the equivalent of beef steaks. Good thing I can usually buy them at a lower price and when I do, I stock them up in my freezer for family weeknight meal or for entertaining. These meaty part all came from the loin which runs from the hip to the shoulder of a pig and contains a small strip of meat called the tenderloin. For today’s Stuffed Pork Chops, the most preferable cut would be a thick cut (around 1 1/4 to 1 1/2 inches) thick), rib, loin or boneless chop. Rib Chop. Also called as pork rib cut chop, rib end cut, center-cut rib chop or rib pork chop. These chops here are very tender with a mild flavor and little more fat than loin chops. Loin Chop. It’s also called as top-loin chop, porterhouse, pork loin end chop, center cut loin chop or center loin chop. This type of pork chop has a T-shaped bone that has loin on one side and tenderloin on the other. It’s very lean and with very mild flavor. And since it has both a loin and tenderloin in one cut, it can be hard to cook properly as these two cook at different rates. Boneless Chop. Sometimes called as America’s cut or pork loin fillets. It’s a very lean meat with very little fat and no bones at all making it very easy to overcook and dries out quickly, too. As you can see in our photos, I decided to use the boneless chops as they are very lean. It also makes it easier for us to create that little pocket for stuffing and simply eat the whole thing! See more about pork chops HERE. How Do You Make Stuffed Pork Chops? This is a no-brainer recipe! Once you’ve purchased your favorite pork chop, you can start rubbing the chops with my homemade Creole and Italian seasoning. Then slice the pork chops lengthwise to create a little deep pocket for the stuffing. Don’t forget to season that part, too. Now cook the veggies on the stovetop, then let it cool a bit before you start stuffing it in the pork chops. Add slices of Provolone or smoked Gouda cheese for that cheesy goodness or leave it out and secure the sides with toothpicks. Lastly, sear them on each side in a cast iron skillet on a stove and finish them off in the oven for a beautiful golden color. Make sure internal temperature of the thickest part of the meat reads at 145 F for the juiciest and tastiest result. How Long To Cook Stuffed Pork Chops? The easiest thing to know if your stuffed pork chops is to insert a thermometer into the thickest part of the chop. If it reads 145 degrees F, then it’s good. Take it off the heat and let it rest for about 5 -10 minutes before slicing. These pork chops are seared first on the stovetop for about 3-4 minutes per side or until lightly golden brown. Then an additional 14-16 minutes in the oven at 375 degrees F (190 degrees C). It’s actually SUPER EASY than you think it is! 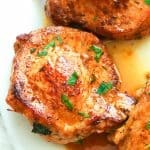 What To Stuff Pork Chops With? 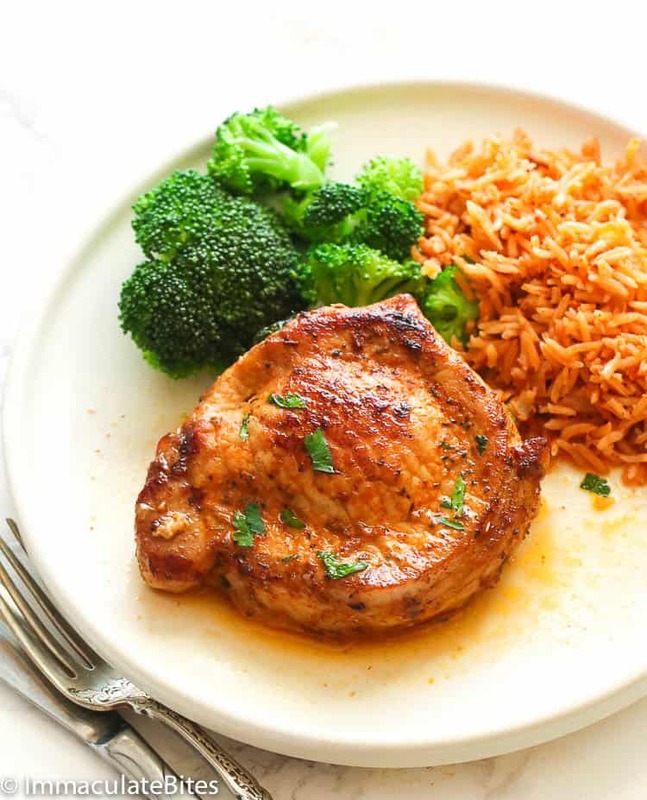 I go with simple yet fresh, staple veggies to stuff in this pork chops. Here, I use slices of mushrooms, bell pepper and fresh baby spinach. You won’t totally feel guilty in eating these stuffed pork chops here. I also included slices of provolone cheese for a little drama. Leave it out completely or swap it with your favorite cheese. This is more like a savory stuffing, but you can swap it with apples and sugar for a sweeter one. Sundried tomatoes and spinach combo are quite popular, too. And even this lovely appetizer Creamed Spinach works great as well with this pork chops. For the cheese, you can swap Provolone with Smoked Gouda, Fontina or Mozzarella. Can You Freeze Stuffed Pork Chops? For those moms out there who want to make their meals ahead of time, yes, you can freeze these Stuffed Pork Chops. After you stuff the chops, wrap each of them tightly with a freezer wrap WITHOUT any toothpicks and freeze them for up to a month or up to 3-5 days on the fridge. Once ready to cook, thaw it overnight in the fridge, secure with toothpicks and cook as directed. Just look at those mouth-watering chops?Aren’t they calling your name?! It’s sooo delicious with exciting flavors in the stuffing. 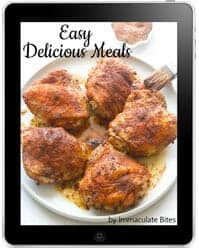 Serve this chops here with mashed potatoes, steamed veggies, rice (try my Mexican Rice now) or a good Potato Salad just in time for summer. Want a chicken version of this one? Check out this Stuffed Chicken Breast. Stuffed Pork Chops – juicy and flavor-packed pork chops stuffed with veggies and cheese and cooked to perfection. An easy family dinner that also impresses guests at the same time! Salt pork chops, then season both sides with Italian and creole seasoning. You may use one or both. I use both. Place pork chops on a board or flat surface. Cut a slit or pocket about ¾ quarter of the way through each piece; try not to cut all the way through. Generously season the inside of the pork. In large skillet or frying pan, add olive oil and garlic, sauté over medium heat for about a minute, add mushrooms, bell pepper and continue stirring for about 2-3 minutes. Finally, add spinach and stir frequently until wilted and cooked, about 2-3 minutes. Set Aside. Stuff slit pork chops with mushroom, spinach and bell pepper mixture. Add cheese, 1-2 slices per pork , if desired . Use toothpicks to thread pork chops near the openings to help secure them. If some of the filling comes out, just tuck it back in. 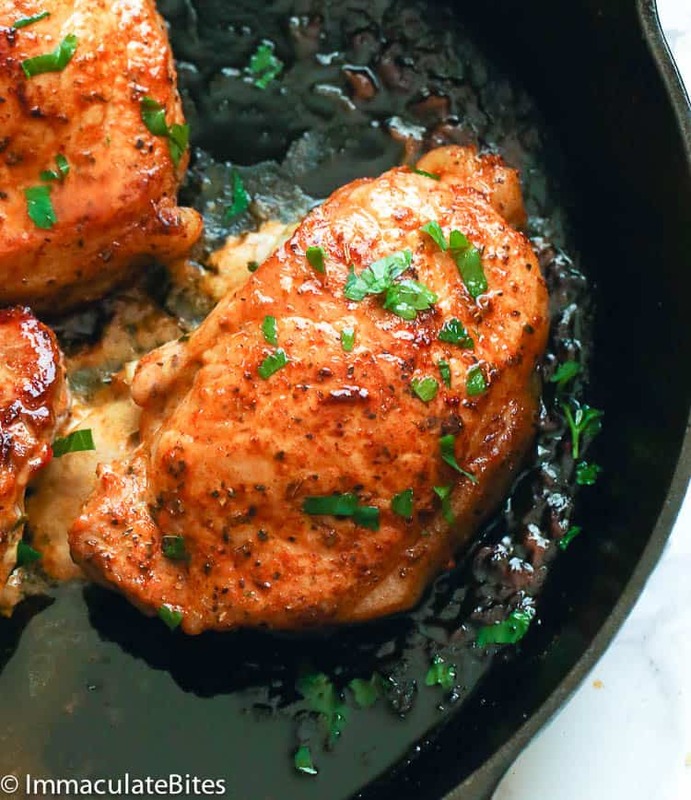 Heat an oven proof skillet over medium heat with a tablespoon of oil. Sear and cook pork chop on both sides for 3-4 minutes each, until golden. You may use a pair of tongs, and carefully flip the pork chops over. 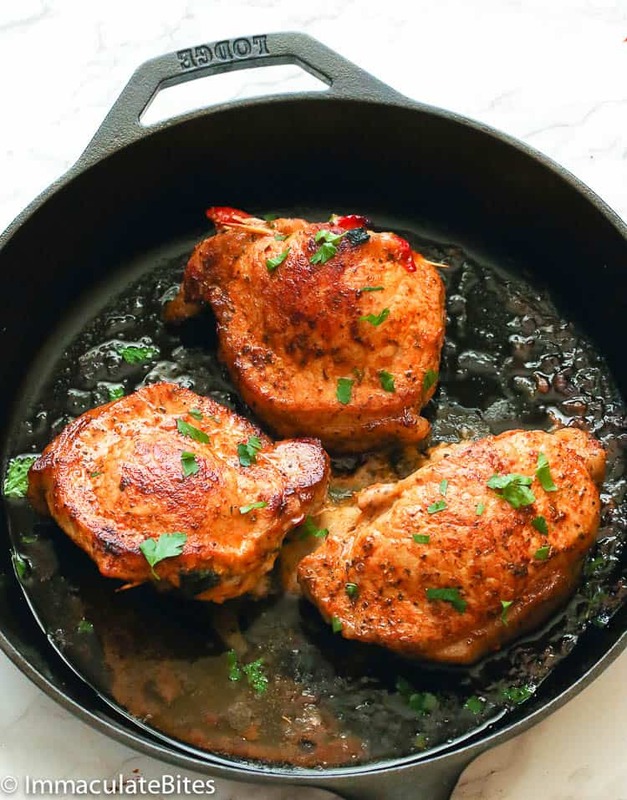 Place skillet in the oven and bake chops in the oven for about 14-16 minutes or until the internal temperature registers 145 degrees F on an instant-read thermometer when inserted into the thickest part off the pork. Pork will continue cooking about an extra 5 degrees when it’s resting. Transfer pork chops onto a serving platter, then cover with foil. Let it stand 5 to 10 minutes in warm place before serving. Carefully remove and discard any toothpicks. Serve, drizzled with the juices from the skillet. Preheat the oven to 375 degrees F (190 degrees C). Salt pork chops, then season both sides with Italian and creole seasoning. You may use one or both. I use both. Place pork chops on a board or flat surface. Cut a slit or pocket about ¾ quarter of the way through each piece; try not to cut all the way through. Generously season the inside of the pork. Stuff slit pork chops with mushroom, spinach and bell pepper mixture. Add cheese, 1-2 slices per pork , if desired. Use toothpicks to thread pork chops near the openings to help secure them. If some of the filling comes out, just tuck it back in. Heat an oven proof skillet over medium heat with a tablespoon of oil. Sear and cook pork chop on both sides for 3-4 minutes each, until golden. You may use a pair of tongs, and carefully flip the pork chops over. 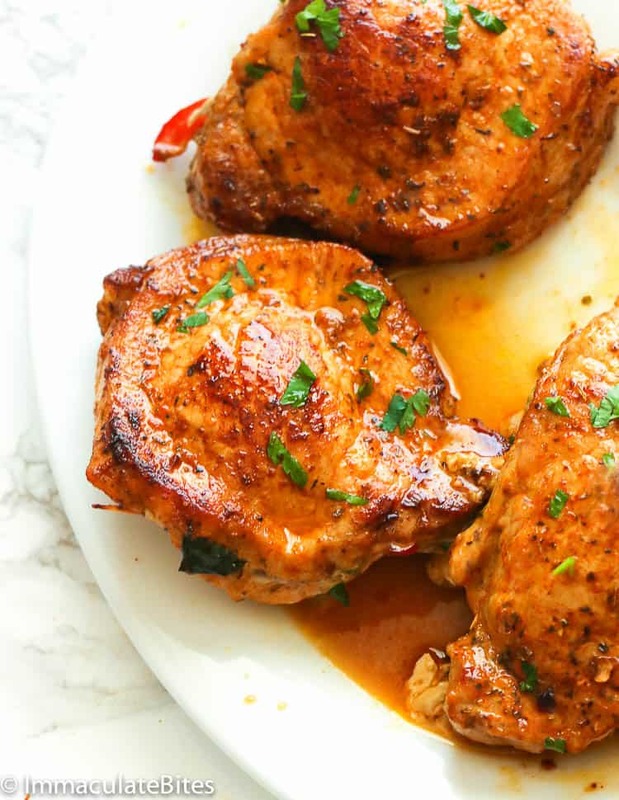 Place skillet in the oven and bake chops in the oven for about 14-16 minutes or until the internal temperature registers 145 degrees F on an instant-read thermometer when inserted into the thickest part off the pork. Pork will continue cooking about an extra 5 degrees when it’s resting. Transfer pork chops onto a serving platter, then cover with foil. Let it stand 5 to 10 minutes in warm place before serving. Carefully remove and discard any toothpicks. Serve, drizzled with the juices from the skillet. Will try this in 2 nights, sounds scrumptious ! Great! Please do let me know how it works for you. Enjoy!